As I was getting reacquainted with pens and paper, thank you notes were a great way for me to dip a toe back into written correspondence with others. While I expect that I will seek out special one-off thank you cards for some occasions, I set out to find some standard fountain pen friendly thank you notes that I can have on hand for everyday use. The design is minimalist and gender-neutral. They are consistently available for fast and easy restocking via Amazon. 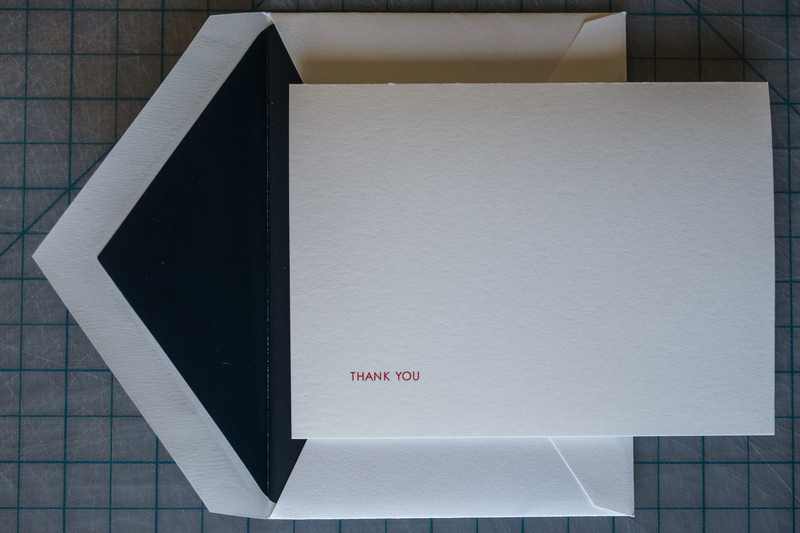 The cards feature a small sans-serif "Thank You" in red on Crane's 100 percent cotton Pearl White paper. The matching envelopes have a dark blue accent on the inside. Based on the heft and feel of the paper stock, I was pretty confident that the cards would handle fountain pen ink reasonably well. They did not disappoint. However, I did notice that is a sweet spot at around the Western fine / Japanese medium point. When I moved up to some of my broader nibs, I started to see a bit of feathering. Conversely, when I went down to my Lamy extra fine nib, the cotton paper (which is new to me as a fountain pen user) felt a bit scratchy for my taste. My Lamy fine and Pilot medium nibs were the Goldilocks choices. If the minimalist style is not for you, Crane and Co. offers a variety of other thank you note styles as well. 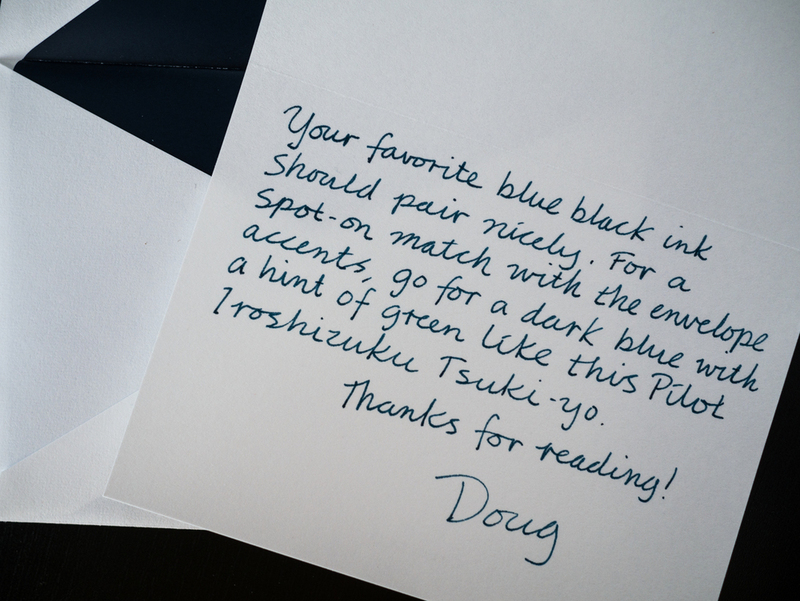 I'm sure that I'll continue to experiment with other options, so if you have a favorite fountain pen friendly thank you note set, be sure to get in touch in the comments or on Twitter. In the meantime, the Crane and Co. "Thank You" in Red Thank You Notes - Thank You Edition (OK, I added that last part), which you can find on Amazon for $13.75 (10-pack), are meeting my needs very well.